That is the first question we ask at She Reads when a novel is submitted for consideration. And depending on the answer, can be the last. The premise often determines whether we request a copy for review. Because if that most basic of ideas doesn’t draw us in, why read the book? Mark Twain once said that, “The difference between the almost right word and the right word is really a large matter – it’s the difference between the lightning bug and the lightning.” I say the same holds true for premise. To create an idea that strikes the reader as lightning – something they will never forget – is, in my opinion, the most neglected aspect of writing fiction. Now, there is nothing wrong with any of these ideas. But there is nothing original either. They’ve been done ad nauseam. And when we ask readers to spend days between the covers of a novel, we ought to offer them something unique. Something unexpected. It is interesting to note that all of the premises above are favorites with first time authors. 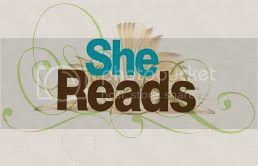 And it is possible to do them well, as evidenced by the February pick for She Reads, Just Between You and Me by Jenny B. Jones – about a young woman who returns to a small town to conquer her fears. When a common premise is put in the hands of a craftsman, amazing things can still result. But only if the author is willing to leap that extra hurdle. It is certainly true that there is nothing new under the sun. And if you were speaking to my mother, she would go as far as to say that there is only One story. His story. And we spend our lives retelling it. So it begs the question, are we telling the same stories over and over? Or are we telling the only story in a fresh way? We sat up. We paid attention. And we invested our time getting to know the lives portrayed in those novels. That is the power of an original premise. However, an idea alone does not a great novel make. We all know that. Execution, characters, plot, dialogue and prose all matter a great deal. And to create a bolt of literary lightning, they must be present in equal measure. But that spark of energy – a great premise – must light up a reader’s mind first. What about you? What premises caught your attention and lured you between the pages of a novel? Are there any ideas that you’re tired of seeing rehashed? And, if you're feeling brave, share the premise for your WIP - we'd love to hear it! I think great premises start with a great question. I think it's got to be a universal question-- one we are all asking internally even if we couldn't put it into words. When we read the premise, we think to ourselves, "Yes! That's exactly what I want to know!" The premise has to resonate not with our exact circumstances but with the feelings we are all dealing with just under the surface-- feelings like fear,rejection, insecurity, trust, betrayal, hope in uncertain circumstances. These are what I want to see mined in every great premise. "A rookie Detective struggles to the solve the case of a missing New York State Supreme Court Judge." Good? Bad? Ugly? Have at it! 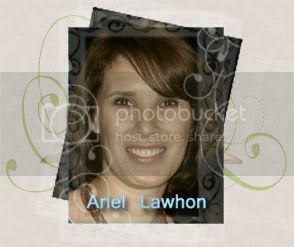 Ariel, I think it's good. Sounds like a David/Goliath story with plenty of conflict and challenge for an inexperienced but gutsy protagonist. I hadn't yet written a premise for my WIP, but I find it a fun exercise. Here's what I turned up this morning. "Returned from years of Indian captivity, a young woman struggles to save her family’s confiscated land, forcing a frontier town still reeling from a devastating revolutionary war to divide once more over hatred, fear and prejudice." I couldn't make it as succinct as yours! This is an excellent post, Ariel, and another great author exercise in succinctness. Paring things down to the barest of bones without actually amputating is no easy feat. I look forward to some of the responses. Great ideas, so far. The missing supreme court judge premise sets my imagination rolling. "When a chart-topping country diva asks for her help, Kay Nelson agrees to drive her from small-town Illinois to Nashville in time for a prestigious award ceremony. Will she elude Diva's kidnappers?" I guess that with our hectic schedules, it makes sense that no one has time for a lengthy explanation of a premise. So thanks for letting us peek into the dilemma that She Reads faces. It gives me a new appreciation of how difficult the task of choosing reading selections must be. When a washed-up basketball player falls into a parallel world, he fights evil forces to protect the companions helping him find a way home. "A young woman leaves the big city and returns to her home town to face the ghosts of her past." A young woman must put her life on hold to return home(!) and care for her estranged grandmother at the end of her life. A cupcake baker unknowingly falls in love with a wanted assassin-for-hire. When confronted with the truth, she must choose between turning him in and following her heart. I like your premise, Ariel, but the "struggles" word seems cliche. Don't most cases involve struggle? And is it a current or cold case? Don't mean to offend anyone because we all acknowledge "There's nothing new under the sun." However, I'm really really tired of estranged families at the center of the plot. I've read a lot of them, and in most of them who wouldn't want to be estranged from some of these characters? Enough that even with the redemptive storylines, we would just as soon not have to endure them. However, a new twist to an old story or some amazing writing with a unique voice can bring a fresh look-see. As for me, I like the premise of your story because I like relational stories. The power of your story will be in the characters. The problem is getting readers to care enough from the premise to get to know the characters. To add that hook, how about the grandmother is dying from a hereditary disease that the granddaughter has just been tested positive for? Just to spice things up a bit. And returning home doesn't have to mean a small town (although, truthfully, CBA readers love this element). A source of tension could be how much her neighborhood within a larger city has changed. Just brainstorming with you, Some Chick. Decide on something you can have fun with. I think you're headed in the right direction. word verification: "eyepro," an eye doctor. You are right there are so many books with the same theme, but I suspect some themes are universal. There are many lessons we can learn from the life of Nehemiah that will help us live our lives in these end times and rebuild our torn walls. Oh no, I'm taking a big gulp right now because my current wip has Amish threads in it. Now, before you throw pigs at me, I have to give some background. I'm a self-confessed uninterested reader in straight-up Amish fiction. But...I grew up in the middle of Amish country. My first job in high school was waitressing at the Buggy Wheel Restaurant (yes, that was its actual name). "A near-bankrupt shopaholic is hired to return to her hometown to discover who's behind an Amish-themed tourist development." Sarah: I will throw no pigs! Aside from the fact that this city girl is fresh out of oinkers, I think your premise is a fun twist on a worn theme - one that could work well with the right, respectful, but tongue in cheek way. Katie Hart, a formerly homeschooled college freshman, is both excited and worried about the new chapter in her life. With the biggest mistake of her life behind her, she is determined to concentrate on her classes. When her best friend is offered the chance of a lifetime in another state, Katie's life is turned upside down. Ethan Wilkinson has a natural gift of reading people’s emotions, especially when something is bothering them. When he meets Katie, he instinctively knows that she needs a friend to lean on, whether she believes it or not. But Ethan also has an unresolved conflict of his own that he’s dealing with. Brad McCormick, Ethan’s lifelong friend, makes the most of being in college and having more lax rules at home. He knows where to find all the fun and doesn’t need to spend a lot of extra time studying to get the grades he wants. When he starts drinking on the weekends, he learns that he’s inherited his grandfather’s mean streak. Sorry it's so long. What do you all think? Does it sound likable? Need work? I agree that an original premise is a wonderful thing to behold, albeit a daunting challenge to come up with. But one's own twist on any intriguing premise can work wonderfully well. Stephen King's short story "The New York Times at Special Bargain Rates" starts out with a new widow with a house full of people who won't go away, who then hears from her deceased husband (via phone). Bonnie Grove's superb novel "Talking to the Dead" explores something similar - but in such a different way. There's no end to what can be done with an intriguing idea, which is great news for those of us who love to read!